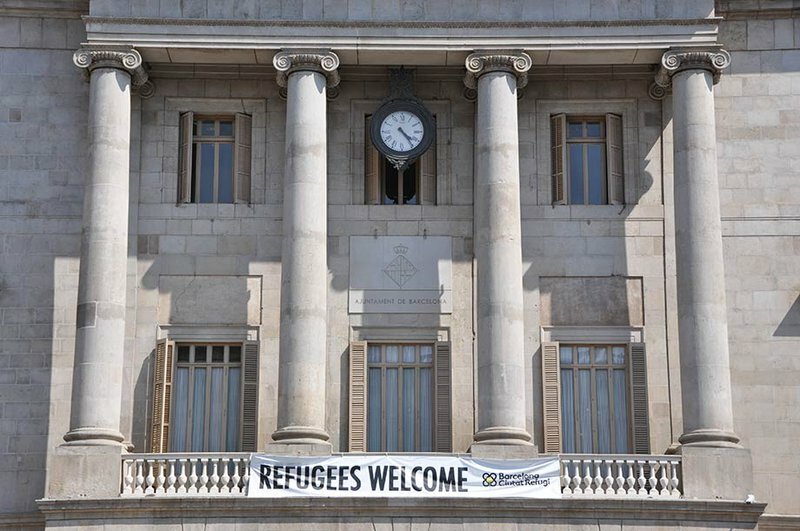 Barcelona seeks to welcome refugees and migrants into the fabric of the city, but its efforts have been stymied by the national government. Ignasi Calbó and Ramón Sanahuja discuss the division of labour between local and national actors when it comes to welcoming refugees. Duration: 2:09. Cameron: Welcome to openDemocracy. How would you describe what Europe is facing at the moment? Ignasi: We always talk about the five myths relating to the ‘unprecedented crisis around refugees’ in Europe. We think, firstly, that this is not a refugee crisis. It is more a crisis for asylum, or the right to asylum – or one could say a humanitarian crisis, not so huge in terms of numbers, but it is a management crisis. Secondly, it is not unprecedented. Look at Bosnia in the 90s or Rwanda, or Congo, or the Central African Republic. We would love to have a European asylum or migration policy because we are pretty sure that this would increase the rights of migrants or asylum-seekers in Spain, but there is not a European answer because European states have their own policies. But in Europe the arrival of newcomers seems suddenly to have shocked people – even though we have seen this before. If you look at the economic migrants who came in considerable numbers during the affluent years in Spain, this was around 30,000 or 40,000 in one year. So we think there is an over-exaggeration of the crisis, and this suggests that it is more of a political crisis than a refugee crisis. Cameron: There are several layers of competence dealing with this political crisis: city councils, state governance, European Commission. How are they working ? Are they working well together, or against each other? Ignasi: The states do everything through legislation. They plan these sweeping laws, and major policies of welcoming, but they do not take sufficiently into account the fact that migrants and asylum seekers aim for cities, they ask for services in the cities, and they seek a living and a future there. So there is an irreconcilable gap between the state laws and what is actually happening on the ground. There is an irreconcilable gap between the state laws and what is actually happening on the ground. We always say – and Ramón is always very clear on this – that the answer is a properly functioning multi-layered governance. We cannot continue to ignore each other. We are asking for more information, we want to have a political say and input into the decisions around finances and resources, so that we can implement policies for what we are now facing in our cities. And we don’t have this at present. Ramón: The problem is that the European Union is not strong enough to impose this multilevel governance on every state in the EU. Some states have a good internal set-up, with different levels working together and to solve problems through cooperation. This is the way it should be done. But in many other states, including Spain, this doesn’t happen. Take the comments from my good colleague from Karlsruhe, Germany – it is the same problem. They don’t speak to the state. The state doesn’t speak to the Länder (Germany’s federal states). And a lot of distress and misfortune has to take place before the local areas get what they need. It is the same when it comes to funding. There are of course considerable funds for refugees at the European level. In some countries, this funding is held by the state; in others, at state level and also the regions; in some others, Holland for example, cities receive this funding. This disparity really doesn't make sense. Integration, which is always a multi-faceted business, naturally happens at the local level. Nobody would challenge that premise because it is an evident reality. But these policies at the level of the European Union and the state do not really take this into account. They are more focused on flow control than on integration. Ignasi: We are always talking about how to integrate people, how to welcome migrants and refugees into the European Union, but at the same time we put up physical and legal barriers to prevent them from entering. This is kind of a contradiction. Ramón: There are so many examples! Ignasi: Too many. It doesn't make sense! Ramón: For example, from the local point of view we know that family regrouping is very good for the integration of migrants. Why? Because it’s normal. It’s not a secret that everybody wants to live with children, a husband and wife together – a family. It’s good for all sorts of reasons – psychological, emotional, political reasons. But some countries are making this family reunification more difficult, therefore are making the lives of many migrants in our cities more difficult, and their integration process more difficult. Trying to make the life of a migrant or an asylum seeker harder really doesn’t mean that they are going to leave. This is one example. There are so many others. Another example is the business of return. The European Union spends a lot of money and invests a lot of money in return, voluntary return and so forth. But perhaps there isn’t much demand for that. Yes, some migrants wish to return. But why focus mainly or only on that? It is not a solution for the cities or most of the people who live in the cities. Ramón Sanahuja discusses how Europe's cities can effectively welcome and integrate migrants and refugees. Duration: 2:24. Cameron: What is the city of Barcelona doing to help make integration possible, and is the national state helping or hindering that project? Ignasi: Politically, Barcelona has an advantage, in that the last 30 years or so of democracy, local policies on integration have remained more or less the same. over the last three years or so. No one who has come into the government of Barcelona has said that the policies we have are useless. One individual might be more left-leaning, the next more rightist, but overall, there has been some consistency. This is very important for city policies. Now again we are trying to make some adjustments to fit the reality. For example, we are not going to create parallel structures for refugees and asylum seekers. There is a difference in legal status if you are a refugee or an asylum seeker, you have the right to work. Illegal migrants don’t have this right. But taking the various factors into account, we are trying not to differentiate between these people and other citizens, because otherwise this could lead to social conflicts and to unrest. Ramón: One of the most important lessons we have learned over the last 15 years is that we have to provide welcome policies from the moment zero, and embrace everyone who comes to the city regardless of their legal status. If they are legal, regular, or not – it doesn’t matter. You have to start working with them immediately to include them in access to the health services, the educational facilities, the sports facilities and the libraries. And providing language lessons so that they have more opportunities to work. 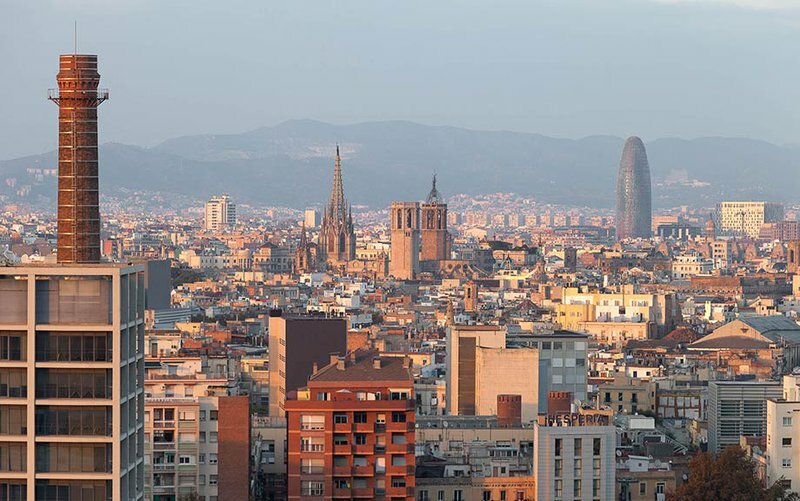 Investments in migration has never been seen as expenditure in Barcelona. Ignasi: No, but the thing is that investments in migration has never been seen as expenditure here. It has been seen as an investment in social cohesion. And this is very important, because if you can do it from moment zero, that means that social cohesion is vastly improved, and it is not very expensive to do it in this way. Ramón: It is much cheaper to invest beforehand in sound policies than pay for it afterwards, when you have riots because of ethnic tensions in a neighbourhood. That’s when you have to spend a great deal on major policies to quieten things down, and you lose out. Ignasi: And that isn’t just a question of money. It is about whether you treat people like human beings. Ramón: It’s a matter of human rights. Ignasi: For example, granting citizenship from moment zero is an incentive for people to integrate sooner rather than later. Ramón: We do have some parts of our society who are sceptical about the benefits of diversity, or critical of diversity. Especially elderly people with less education don’t understand these issues very well, as our surveys tell us, and we have to explain things very carefully. Our mayor, Ada Colau, is really leading the way in conveying a positive and convincing message for everybody, and especially for these people. You can have other politicians who would convey an opposite message to them, and this is very easily done. But our mayor is delivering the right message to convince people to create social cohesion. Ramón: …it’s the Troika who imposes the budget cuts – but it isn’t the migrant who is the problem behind the crisis in the social welfare state. It is not our neighbour, who is suffering the same situation as the rest of us. This message is really important! Cameron: How do you work on these programmes in the libraries and educational institutions and so forth? Do you subsidise these programmes at the city level, or work closely with them to deliver these services? Ignasi: The city of Barcelona has always worked closely with these organisations. That’s also city policy. You don’t subsidise their activities just to distance yourself from the problem. Associations, NGOs – they know the territory very well, so they have a lot to say on city policies as well. They know the best way of integrating them, so they are one of the tools we have for integrating people. The association scene in Barcelona is enormous. You have everything. Without civil society, if we only had official policy, we wouldn’t achieve anything. We’d be lost. Without civil society, if we only had official policy, we wouldn’t achieve anything. Ramón: We have a network of 160 NGOs that work to deliver welcome policies in the neighbourhoods. They provide legal assessment, or advice for people – for example on how to access the health system – etc. There’s all kinds of NGOs, from the church to the neighbourhood associations, sports, etc. – anybody who wants to deliver information and services to refugees and migrants can be part. They can also receive smaller or larger pots of funding for their projects from the city. Ignasi: We’re also attempting to attract the informal associations now, like social activists, and bring them in as well. Ramón: For example, a public servant can do a very good job handing out information. But if this information is provided by an NGO – which can approach individuals and invite them to chat over a cup of tea, or invite them to participate in an activity, or to watch a football match, whatever! – this creates a bond. As civil servants we obviously cannot invite them to do such things, but an NGO can do that. This can create some very strong connections within the community, and that leads to integration and social cohesion. Cameron: You’ve said that multi-level governance would be great, but it’s currently lacking. Are you working horizontally, and trading lessons learned between cities? Ignasi: To an extent. The program is very young, it’s only been working since September or so. On top of that, City Hall isn’t the easiest place to work. There are a lot of restrictions. We have a network of cities, but as you might know there have been a lot of elections recently in Spain. So we’ve made a few preliminary steps, but right now we are waiting to let that settle and then we’ll see how the landscape is. We’ll be making a big push on that next year. Ramón: At the European level, we are members of the EUROCITIES group – it’s kind of a lobbying group for big cities. We are trying to promote some initiatives there, and hopefully will influence the European Union as a whole in some way. Our mayor had some meetings with European commissioners, thanks to EUROCITIES. We’ll see if anything comes out of that. We are also part of the strategic partnership called the ‘European Agenda’. Ignasi: We’re attempting to use that tools that we already have or the associations that we’re already in, but we are also creating new ones. That said, it would make no sense to create yet another network of cities. There are already hundreds of them. Ramón: I’ll tell you something. At this moment, the City of Barcelona is much better coordinated with the European Union than with the Spanish state. We have been in Brussels two or three times a year to discuss different issues. But since 2011, I – the director of welcome policies in Barcelona – haven’t been invited to Madrid by the ministry for anything! Before there were meetings. But since 2011, we don’t exist. There’s nothing! At this moment, the City of Barcelona is much better coordinated with the European Union than with the Spanish state. Ignasi: It’s incredible. What the Spanish state is doing is unprecedented. You tell this to anybody in Europe and they say ‘what?! You’re not talking to the state? They didn’t invite you in all this time to discuss your policies and your activities?’ We are invited abroad all the time – if we wanted we could be doing conference the entire year – but not in Spain, not in Madrid. It’s truly incredible. Ramón: The European Union has this figure, called the national contact points. They are officials, usually from a ministry, who are charged with delivering information from the European Union not just to the national government but to all the different levels of government. So when we go to Brussels, they say, ‘well, haven’t you talked to your national contact point?’ and I have to respond, ‘I have no idea who that is. I’ve never gotten an email or anything! Who is this national contact point – please tell me!’ This is the reality. Cameron: So it’s not that the Spanish government is hostile to local programmes, they’re just not interested. Ramón: No, not hostile to local governments, I think. Ignasi: In my point of view, they are hostile to the concept of coordinating with the others. What they do is say no to Europe, and then privatise the assistance. There’s no other policy than that, and there’s no will to create one. There has also been very little debate about that in the electoral campaigns. Cameron: How many people have come to Barcelona in the past years? Ramón: In the city of Barcelona, in a 10 year span we’ve had probably had about 200,000 new arrivals. Ignasi: Some years it was 40,000 a year – quite a bit. Ramón: Since then, the figure has been more or less stable. But that doesn’t mean that people aren’t coming, just that people are arriving and leaving at about the same rate. We are expecting an increase in the next two years though. Currently Spanish people are leaving Spain to find work, but that will increase demand for labour here and pretty soon migrants will be coming to fill those spaces. Labour markets are funny things like that. Cameron: So you’d say that, at the end of the day, this ‘crisis’ is indeed manageable? Ramón: What would London be without migration? London is migration. Paris is migration. Cities are migration, and cities would not exist without migration. It’s our gasoline. Of course it’s manageable. You can do it in a very liberal way, with no rules. This approach has some dangers. Or you can try to improve cohesion through policy, which I think is a win-win situation for everyone: for the city, inhabitants, the economic actors, the migrants themselves, and for the rest of the inhabitants. I mean – I still have problems in the streets everyday because of a lack of cohesion. Because diversity clashes, because the balance is off. There is still work to do, but immigration is unstoppable. It’s linked to demographics and economic cycles. Laws can make immigration more difficult or easier for people, but it won’t stop it. Even Britain with Brexit and all these isolationist policies – despite all of this people will still come. They will arrive by Heathrow and Gatwick and many other entry points, and if there are economic opportunities they will work. It’s like the law of gravity. You can’t fight against that. All you can do is create policies that will either do something positive for everyone, or make it all more difficult. There are small segments of society that will benefit from making immigration, integration, and cohesion more difficult – like politicians who will get more votes in the short term – but the cost is the production of a large amount of social distress that will lead to tensions. Like we saw after the Brexit vote, all these xenophobic attacks where migrants were getting shouted at in the streets. It’s not good – for anybody.